Dept of ENT, Pad Dr D Y Patil Medical college, Nerul, Navi Mumbai. & Lilavati Hospital and Medical Research Center, Bandra, Mumbai. 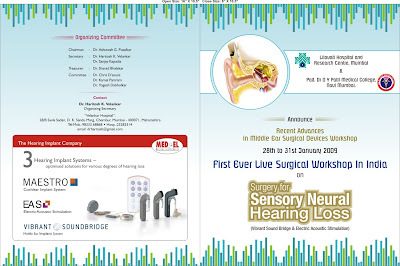 Recent Advances in Middle Ear Surgical devices workshop.